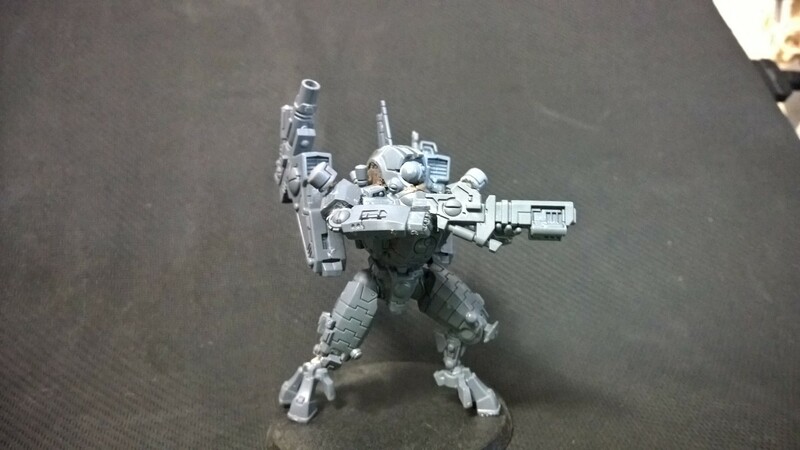 starting my tau, figuring out the paint scheme right now - it's based off of the Militia from Titanfall. 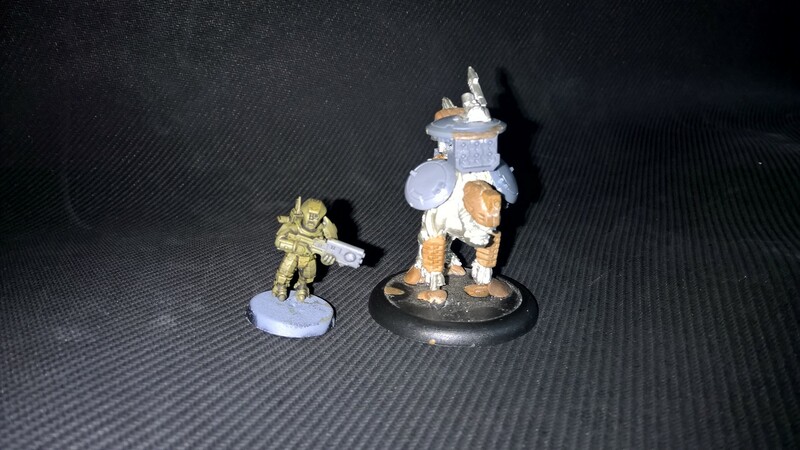 Firewarriors and breachers and all units will be mixed species, with armor sculpted on kroot and humans either in scion armor or sculpted on IG. 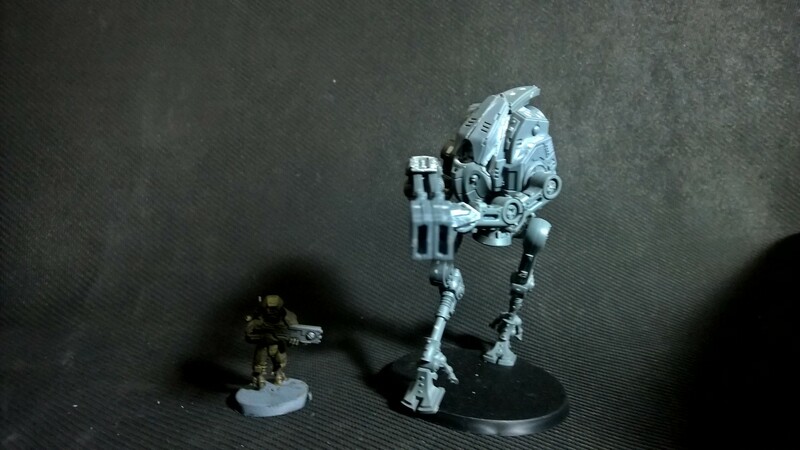 This remnant Tau force was once part of the 4th sphere expansion, when they were swallowed by the great rift they were sent to an unkown sector of space to the tau. the Ghoul star system, where space itself is distorting. 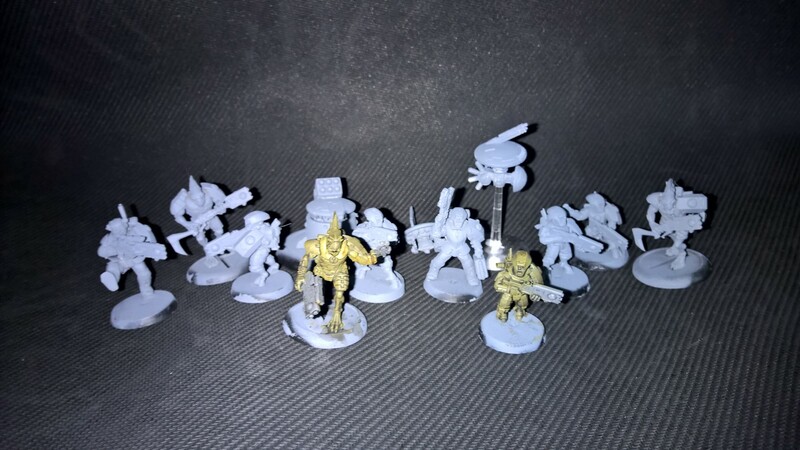 Given the numerous loses the Tau took in the warp and subsequent battles when re-emerging from warp space, the casualties have caused the survivors to rethink parts of the greater good. amending or adding to them. Now any able bodied warrior for the greater good can be trained as firewarrirors, to fill in the absent ranks. 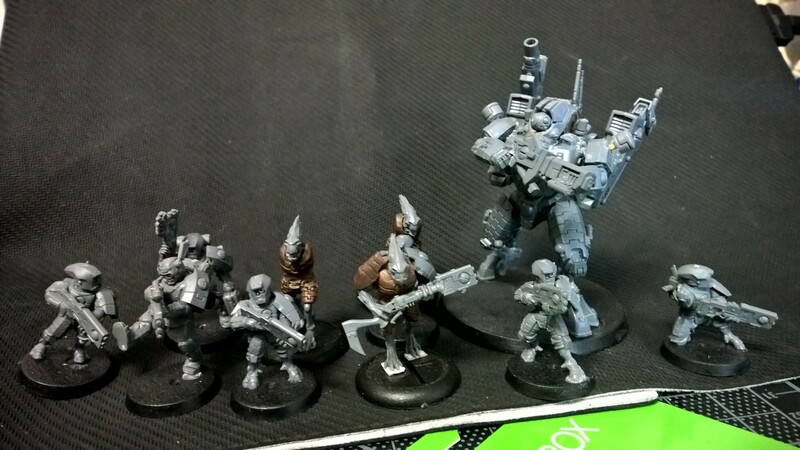 A 10 man breacher team is now composed of 5 tau, 3 kroot and 2 humans, all trained together and perform up to par. this thinking goes to all branches of the military now, and the earth caste has been busy modifying interiors/chasis of the suits to accommodate other species, Kroot are now the go to pilots for the Ghost keel suits and xv25 stealth battlesuits. Edited by Triszin, 29 June 2018 - 06:46 PM. Awesome stealth effect. Doesn't look particularly stealthy but it's very interesting to look at. ya, was testing out an idea I had for perspective stealth, In the future I think I might make the triangles (i know i need to make these better in the future, probably with epoxy) into color gradient prisms. I like the effect mate especially with the yellow pillar. It has a very predator uncloaking feel to it. Look forwards to seeing what comes of this!! I really wish the airburst was worth taking. A Commander with 4 AFP sounds pretty awesome. Just needs more shots at better range. 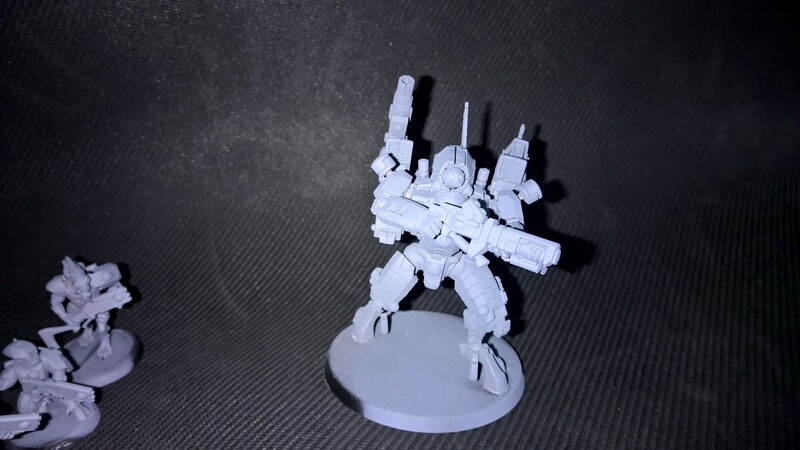 The added bitz on the Commander look pretty sweet. Just missing the shoulder pad. The Breacher with the high leg tho...lmfao. These are great looking I didn't notice them before. @Triszen,enjoying your approach to these. But is it still a shoulder pad then? You know what I meant. Oh wow I like this army. 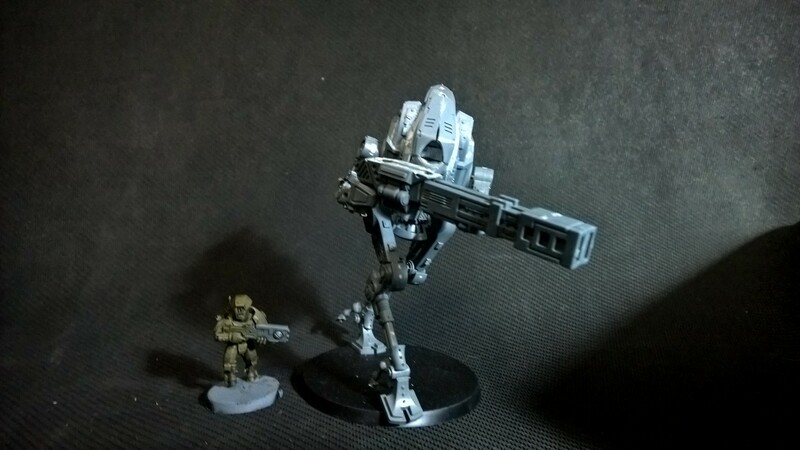 I kinda made a few Titanfall styled bits in my Tau army but there still is a lot of Gundam in it XD Can wait to see where this goes. 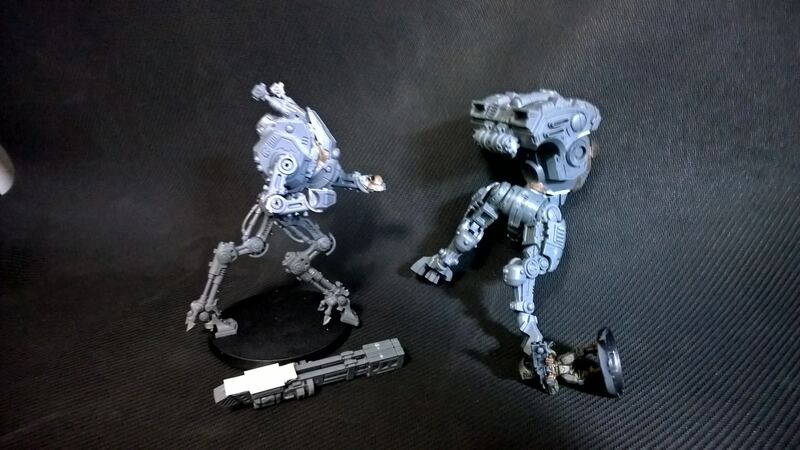 Also if you dont make a Legion Riptide with the burst cannon I shall be dissapointed! I started working out who would be who if I ever made them. 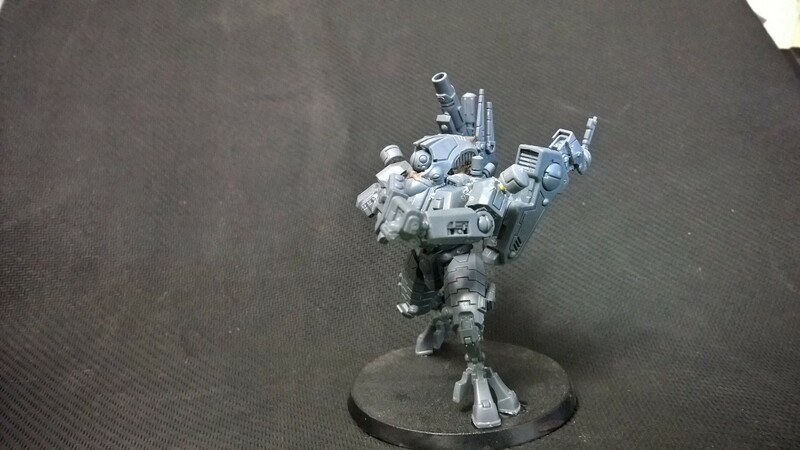 some of my tau are based, and figuring out the scheme right now. Love your fluff you should expand on it maybe a short story of there time in the Ghoul stars. 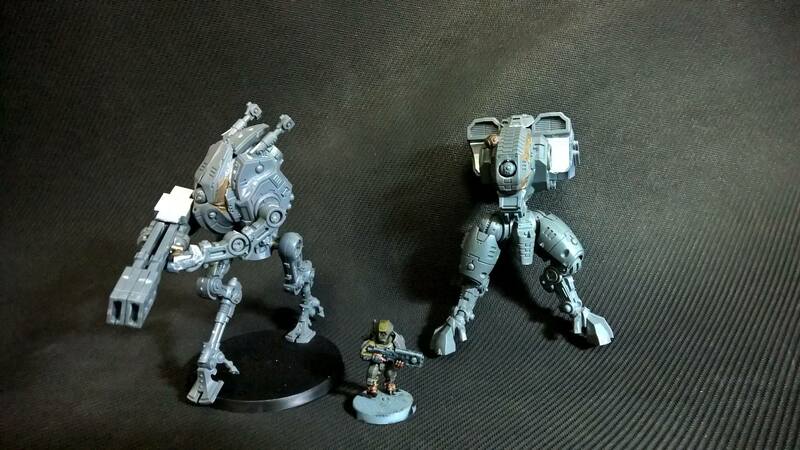 Great work on the models as well. Edited by Captain_Krash, 11 October 2017 - 11:12 AM. 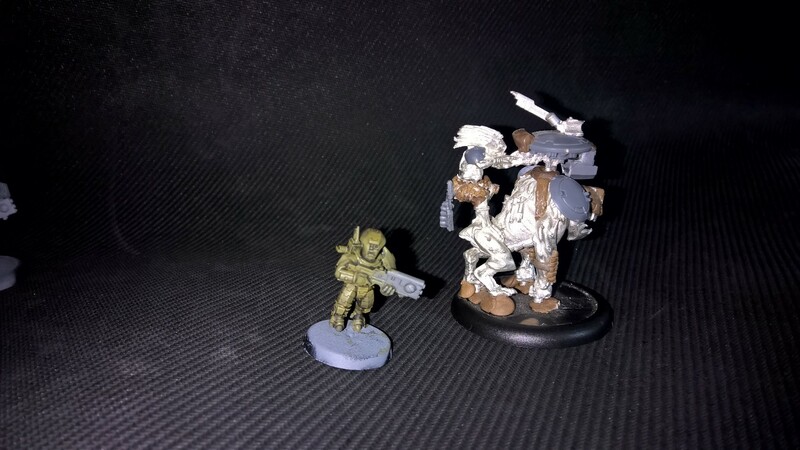 started converting a Kroot into an ethereal, (logic behind this is the Ethereals were ambushed and dieing, so the last ethereal ordered kroot to eat there remains, so that they may take there place until they reunite with real ethereals again. Yes...we see the potential with this! 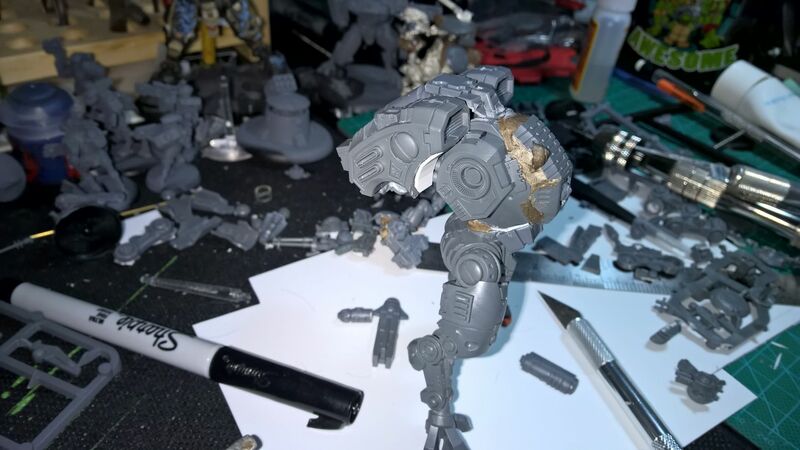 can't wait to see the end product nice use of Ad-mech strider chassis. Edited by Triszin, 06 November 2017 - 02:22 AM. I read Scotch daddy.....I might have a problem.